Students differ markedly in the ways in which they can be engaged or motivated to learn. If students are actively engaged, they are more likely to be actively learning and succeeding with content as opposed to passive learning. Every learner is different, therefore trying to engage in many different ways will most likely reach more learners. 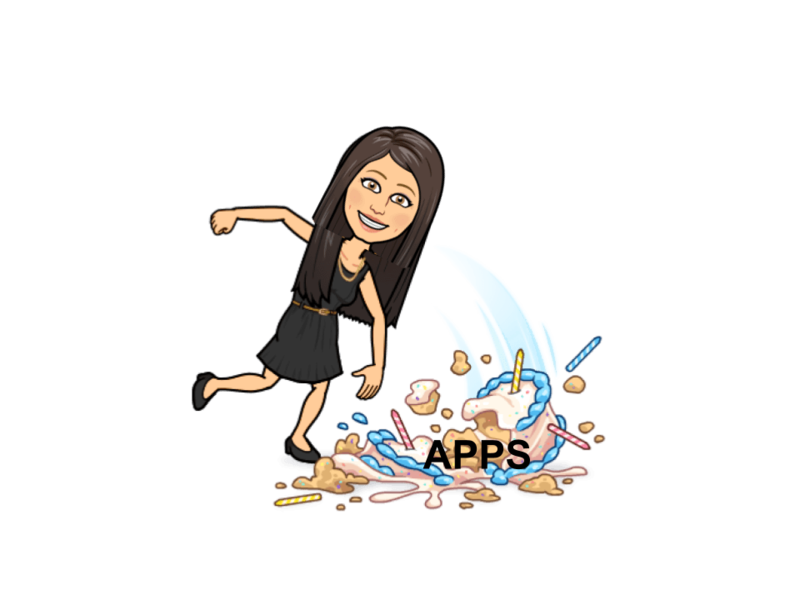 Perhaps the coolest lessons I see are when teachers are App Smashing! What is App Smashing? Well, it’s when you are on your favorite app and you combine it with another! There are so many cool apps you can combine, I do it every day! Anytime you see a video from me, I’m usually combining Screencastify with something. Screencastify is my favorite app to smash with since it is such a versatile tool! App Smashing can be very engaging when done correctly! Students this week really enjoyed smashing some apps! A REALLY neat activity I worked on in 6th grade this week was a stop-motion animation project. Students took Google Slides and showed how food traveled through the digestive tract. They would take the slide and move the food ever so little and then duplicate the slide. Once the 50+ slide deck was complete, students put the deck into present mode, started up Screencastify and narrated over the process explaining every organ the food traveled through. The students were all highly engaged and quite enjoyed the stop motion! When the phases of the moon topic come in, teachers may try this again showing how the moon cycles around the sun and show the different lit phases. Take a look at my video below to see how you may pair Screencastify with Slides! If you’re a reader of my blog, you know I love Pear Deck. Well, here’s one more reason to love it…embed websites! How many times do you have students have multiple tabs open? Why not just embed the site, or even a Doc or Draw item, directly into Slides. Simply get the link and choose the Embed Website option in Pear Deck. See the links below for more information on this awesome SMASH! A pal of mine loves to use Snapchat with her older High School students smashed with Padlet! Students take “snaps” of independent books they’re reading. They highlight something in the book that strikes them. They post the “snap” on a Padlet wall that is for the class to see. 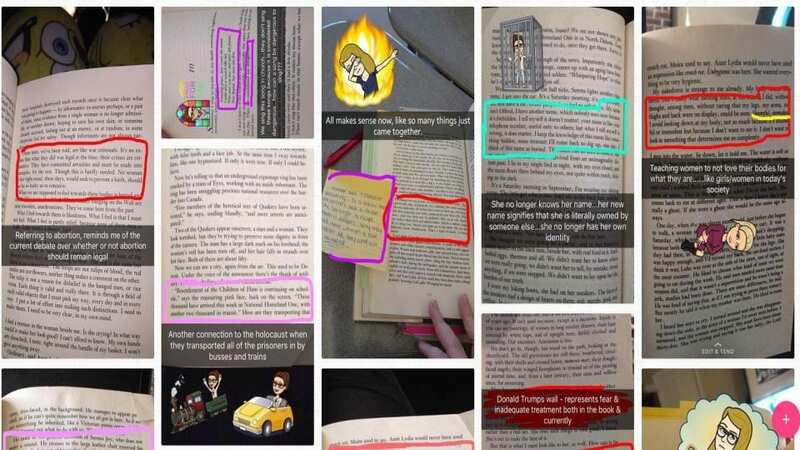 Most students include some bitmojis with their snaps and circle particular text within the book page. This Padlet wall of booksnaps encourages other students to also read the book, thus engaging students and increasing independent reading! Check out this great post on the FlipGrid blog of Smashing Flipgrid with Screencastify! It’s pretty awesome! Tip of the Week: Closed Captions in Google Slides! 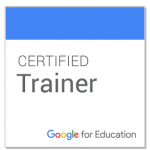 Google Slides continue to get even MORE awesome! You can click the closed caption button on Slides, and your Slides with record your voice and add the captions! Smash this with ScreenCastify and talk about AWESOME! What Apps are you Smashing?? I’d love to hear about it, or see it first hand! Reach out! Have a SMASHINGLY good week, and Thanksgiving! You’ll hear from me AFTER the holiday!